Notes from an Evil Burnee: Wanna buy some 'E'? Sure you do! 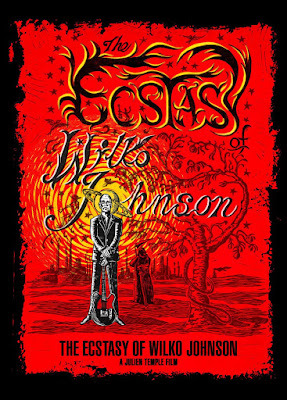 No, not that 'E' — this is The Ecstasy of Wilko Johnson, a feature length documentary film by Julien Temple, previously shown in BBC1's Imagine series, and which until Christmas Eve 2015 was available to view on iPlayer. Anyone who enjoyed the two-part BBC Radio 4 Mastertapes on Wilko Johnson will absolutely want to see this extraordinary documentary shown on BBC1 in November. Superlatives escape me — this is probably the best biographical documentary film about a living artist I have ever seen. Truly brilliant, uplifting, and surprising on so many levels.